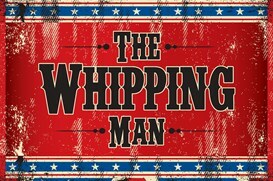 The Arkansas Repertory Theatre production of Matthew Lopez’s The Whipping Man is a riveting production which features three men grappling with issues of faith, family, and fidelity over three days at the close of the Civil War. Set in the remains of a once-grand townhouse in Richmond (masterfully designed by Mike Nichols), it tells the story of Caleb, the scion of the edifice’s owner, and two of the now-former house slaves, Simon and John. As Simon, the moral compass of the trio, Michael A. Sheppherd portrays a complex man wrestling with the changing times while holding on to a vision of a bright future. His approach to the role is to emphasize Simon’s pragmatism. He can easily shift from stern (when making hard decisions) to tender (when discussing his wife and daughter). Sheppherd projects an inner strength which never allows the character to slip into the “noble, long-suffering slave” stereotype. As do the other two actors, he finds the quiet, honest humor in the script while not disrupting the story. Damian Thompson likewise avoids having John wear the “shiftless, devious” label. He joyfully struts like a peacock in his increasingly finer clothing (a deft creation of costume designer Yslan Hicks) and brags of his latest acquisitions (which progressively litter the stage courtesy of props designer Lynda J. Kwallek). But like the other two characters, he is seeking to better himself in these uncertain times. Thompson’s eyes and smile flash the brilliance of the character, who obviously has intelligence since he taught himself to read. Ryan Barry’s Caleb spends much of the time onstage sitting in one place due to an injury. Through his sometimes pained voice, shifts in posture and gestures, he never seems static. His descriptions of the horrors of war are gripping. When paired with his soft tone of voice and romantic longing for the girl he left behind at home, he serves as a reminder that not all went into war with gusto. Throughout the play, it becomes apparent that all is not what it seems with any of the three. What the secrets are, and who knows what about whom, is just part of the evening. While the mysteries are plot points, they are not the whole point of the story. The faith and shared experiences bind these three together far more than they would care to admit. Sheppherd, Thompson and Barry share a great chemistry which serves the production well. Director Gilbert McCauley obviously trusts his actors and the script. He lets the action unfold at a languid, but not sluggish pace. In his hands, the silences and stillness of the actors can sometimes be more powerful than words and movement. 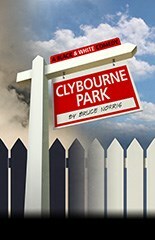 There are moments in the script which could easily shift into melodrama, but McCauley does not allow that. This same approach is shared with the strong and subtle lighting design of Dan Kimble. He achieves a rare balance of having the stage dim and well-lit at the same time. The mood of the play is also ably served by Allan Branson’s sound design. The Whipping Man offers no easy answers or pat endings. While none of the characters are without flaws (who is? ), they each have redeeming qualities. At the end of the play, one is left wondering what will happen to them. Realizing that the Reconstruction era in the South was hardly pleasant for anyone regardless of race, the audience knows that the future will probably not be too satisfying for any of the three. Toward the end of the play, the trio share a Seder. In addition to the obvious connections (Abraham Lincoln and Abraham from the Bible, the end of slavery in both eras), it is also about sharing faith and sharing experiences. It is, for a brief respite, a moment of pure peace. The Arkansas Rep production of Lopez’s play serves as a helpful reminder that in the midst of chaos, harmony can be achieved, if only for a moment.